Gothenburg, Sweden. 12 July 2017: The 2017 ECOC Conference will bring industry leaders and visitors to Sweden’s home of innovation, the city of Gothenburg, where the latest breakthroughs and cutting-edge technology in the field of optical communications will be presented to a 5,000-strong crowd. Co-located with ECOC Exhibition, the conference will host workshops, tutorials and plenary speeches from some of the most well-known and influential optical and technology corporations and universities in the world. 2017 is an exciting year for the conference, with submissions of research reaching significant conclusions regarding the future of optical networking and 5G access. Located in the heart of Scandinavia, Gothenburg is home to people from across the globe. With a reputation for friendliness and hospitality, Gothenburg provides the offerings and essentials of a cosmopolitan city, only condensed and with everything within walking distance. Furthermore, right on the doorstep to the 400-year old city lays one of the most remarkable archipelagos in the world, consisting of scores of beautiful islands, from which 20 of the largest ones can easily be reached by ferry. September is a great time of year to visit West Sweden with its many scenic villages and unspoiled coastal areas, while Copenhagen, Stockholm, and Oslo are only just a short trip away from Gothenburg – offering participants who wish to go on and explore more of the beautiful Scandinavian countries after the convention the chance of a lifetime. “We truly look forward to welcoming delegates from all around the world to this amazing region,” added Dr. Andersson. The ECOC Conference is organised jointly by Chalmers University of Technology, RISE Acreo, and the Technical University of Denmark, with Ericsson and Telia Company as guarantors. Early-bird registration closes on July 13th and the final call for sponsors has been made. Hotel Gothia Towers is the venue hotel and will be a popular hotel for all visitors to ECOC so we recommend making your booking as soon as possible. You can choose to book your hotel room at the same time as registering for the conference. 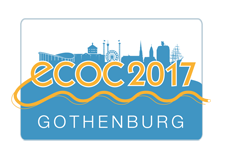 We look forward to seeing you at ECOC 2017 in Gothenburg! 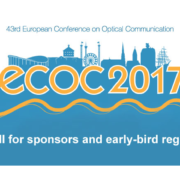 The European Conference on Optical Communication (ECOC) is the largest conference on optical communication in Europe and one of the largest and most prestigious events in the field worldwide. The conference takes place in a different city in Europe each year, co-locating with the ECOC Exhibition. Topics for 2017 are Fibres, Fibre Devices and Fibre Amplifiers, Integrated Optoelectronic Devices and Optical Processors, Digital Techniques for Optical Communication Systems, Transmission Subsystems and Optical Network Elements, Datacom and Computercom Hardware, Point-to-Point Transmission Links, Core, Metro and Data Centre Networks, and Access and Indoor Networks.